Nowadays, not many organizations can boast about their employees sticking around for more than a couple of years, let alone for more than a few decades. For Judy Deck, the San Diego Blood Bank was a major part of her life. 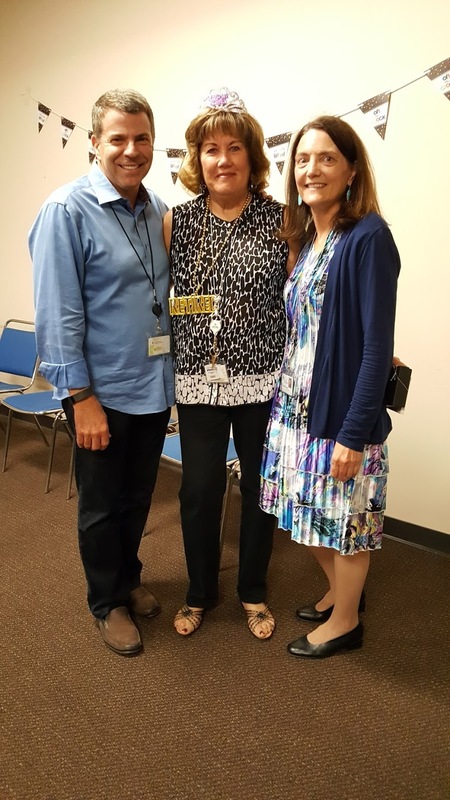 Over a span of 40 years, Judy’s career covered working in the San Diego Blood Bank’s blood collection and quality and assurance department. As a trained nurse, Judy helped to manage, teach, and mentor nurses and administrative staff. As colleagues and family celebrated Judy’s retirement, Judy took a moment to thank everyone for the contribution they’ve made onto her life and career. In her farewell speech, she noted to party-goers, “I stayed here because I could grow and be creative—something I couldn’t do in other places.” It was the friendships she fostered and the patients she got to care for that were her biggest highlights during her tenure at the San Diego Blood Bank. She also noted how staff is the most important investment you can make towards an organization. “You’re only as good as the people you work with and if I’m standing next to you, I must look really good,” said David Wellis, CEO of the San Diego Blood Bank, during his farewell words to Judy Deck. After being at an organization for an impressive 40 years, you leave an unmistakable impact. “She always laughed at my jokes. Whenever I needed help, she would give advice and would listen to what I wanted to share…she is a nurse after all.” – Jill, Administrative Assistant. A special moment for Judy came in 1976. Patients and their families would come in to donate blood on an apheresis machines that had to be operated on manually. The time it took to hook everyone up to a machine properly took a lengthy amount of time, but it was a chance for everyone to learn more about each other. As Judy sat and listened to the personal stories and everyday happenings of patients, she became a better listener. Being a good listener is a skill she continued to hone during her long-built career at the San Diego Blood Bank. Another standout memory for Judy came from her encounter with a pediatric leukemia patient. The passing of this life impacted Judy so much that until today, she is inspired to live life abundantly. Thank you for your dedication to saving lives and for an impactful 40 years, Judy. We wish you a happy and meaningful retirement!